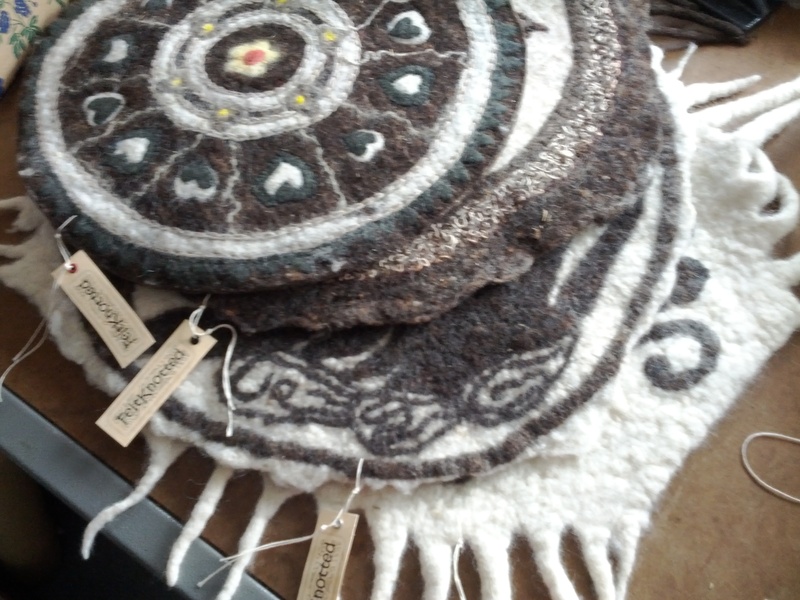 These unique one of a kind Meditation Mats are made of locally sourced sheep wool. 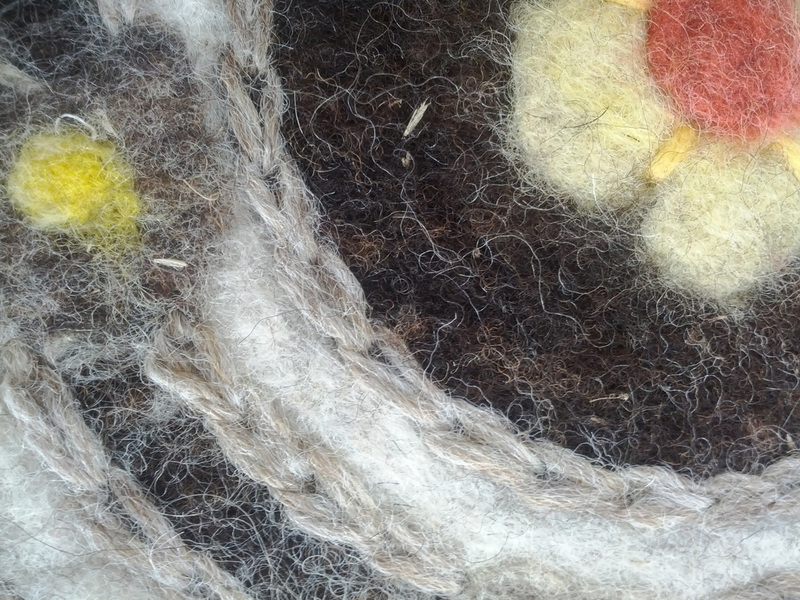 Hand carded, felted and embellished in the FeltKnotted smoke free studio. 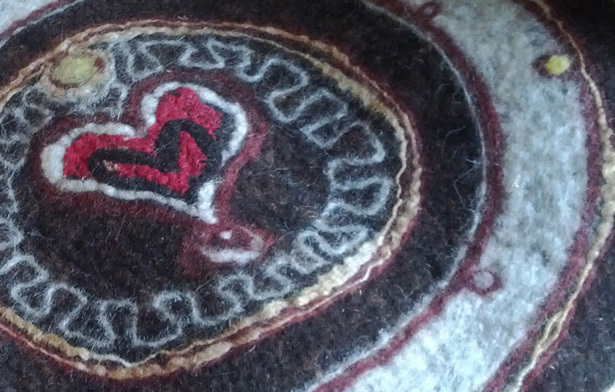 Wool yarn, cotton, nettle, linen or silk was used to embellish the mats. Also beads and semi precious stones may have been used. Every mat comes with a complete list of materials used. Check out FeltKnotted FACEBOOK Page and FeltKnotted ETSY SHOP! Meditation mat “BIRDS” has been so far the most detailed oriented masterpiece. Free-hand design and embellishment has brought me countless hours of enjoyment. Wool and wool-blend yarn, wool fibre, cotton and hemp thread, wooden and glass beads, semi-precious stones and lots of love and lots of compassion. I’m sure you do 🙂 You actually have a pillow, haven’t you?